Join Muddy Roots Music and the Tennessee Central Railway Museum on a day trip to Del Monaco Winery in Baxter, TN. Take an excursion train ride in a restored classic 1950s-era American streamlined stainless steel passenger train! 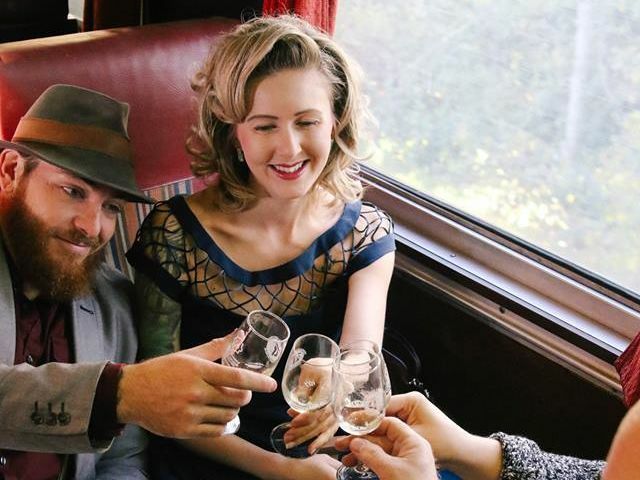 Each ticket includes a wine tasting on board the train, winery tours, winery activities, live music, and more wine tasting! Passengers will have the opportunity to purchase wine and lunch at the winery and each ticket includes a souvenir wine glass! Vintage dress is encouraged but not required. Just have fun with it.